A new report has claimed that the number of smartphones currently in circulation around the world has for the first time gone over the 1 billion mark, after increasing at a rapid rate over the past year. Research firm Strategy Analytics have claimed that the industry surpassed the billion mark in Q3 of 2012 (partly due to new releases such as the iPhone 5 from Apple), a figure up from the 959 million smartphones recorded in Q2, and the 708 million of Q3 2011. 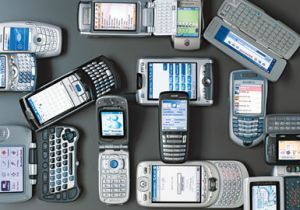 Despite smartphones only really being in public prominence for the last 5 years, Strategy Analytics base their research back to 1996, with the ‘Nokia Communicator’ product which they recognise as the world’s first ‘smartphone’, with a naturally snail-paced initial 10 years when directly compared to the progress of the market in recent times. The industry has seen some rapid growth over the past few years, and there will surely be a point in which the progress in selling smartphones hits a flatline, but just when will that occur?